Ryan John Williams (30): Church Lane, Lowton- Drink driving on Warrington Road, with 73 microgrammes of alcohol in 100 millilitres of breath, exceeding the legal limit of 35 microgrammes: Fined £480, pay a surcharge to fund victim services of £48, to pay costs to the Crown Prosecution Service of £85, disqualified from holding or obtaining a driving licence for 18 months. Mark Edwards (40): Wigan Road, Hindley- Assaulted Lauren Scrivens by beating: Community order, Rehabilitation Activity Requirement, fined £80, pay compensation of £50, pay a surcharge to fund victim services of £85, pay costs to the Crown Prosecution Service of £85. Sonia Louise Jones (32): Poplar Street, Tyldesley - Stole alcohol, to the value of £70, belonging to Tesco: Community order, curfew requirement for 6 weeks. Pay a surcharge to fund victim services of £85, pay costs to the Crown Prosecution Service of £85. Shane Gary Jones (43): No fixed address: At Leigh, assaulted Violet Shaw by beating, damaged a Ford C Max motor vehicle to the value of £200 belonging to Violet Shaw: Committed to prison for 16 weeks, domestic violence with children present- unprovoked punch causing injury. Restraining order to not contact directly or indirectly with Violet Shaw or go to an address at Glebe Street, Leigh. Pay a surcharge to fund victim services of £115. Matthew Hendry (26): Toothill Close, Ashton- Damaged three external doors and two padlocks on the garden shed to the value of £1,000 belonging to Zoe McMahon: Discharged conditionally for 12 months, pay compensation of £1,000, pay a surcharge to fund victim services of £20, pay costs to the Crown Prosecution Service of £85. Craig John Lloyd (30): No fixed address- At Leigh,approached ex-partner Lyndsay Appleton which they were prohibited from doing by a restraining order: Committed to prison for 16 weeks, pay a surcharge to fund victim services of £115. Rebecca Charnock (30) and Darren Norman David Mullen (40): Both of Regina Crescent, Higher Folds, Leigh- Being the parent of three children of compulsory school age, failed to ensure they attend regularly at school: Fined £660, pay costs of £100. 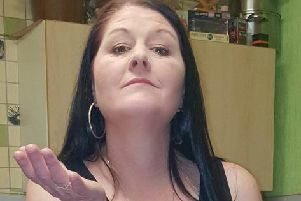 Donna Marie Gaskell (33): Wordsworth Avenue, Leigh- Being the parent of a child registered at Leigh Central Primary School, failed to ensure they attend regularly at that school: Fined £40, pay a surcharge to fund victim services of £30, pay costs of £100. Donna Bowers (39): Eastleigh Crescent, Leigh- Being the parent of a child registered at Bedford High School, failed to ensure they attended regularly at that school: Fined £440, pay a surcharge to fund victim services of £44, pay costs of £120.